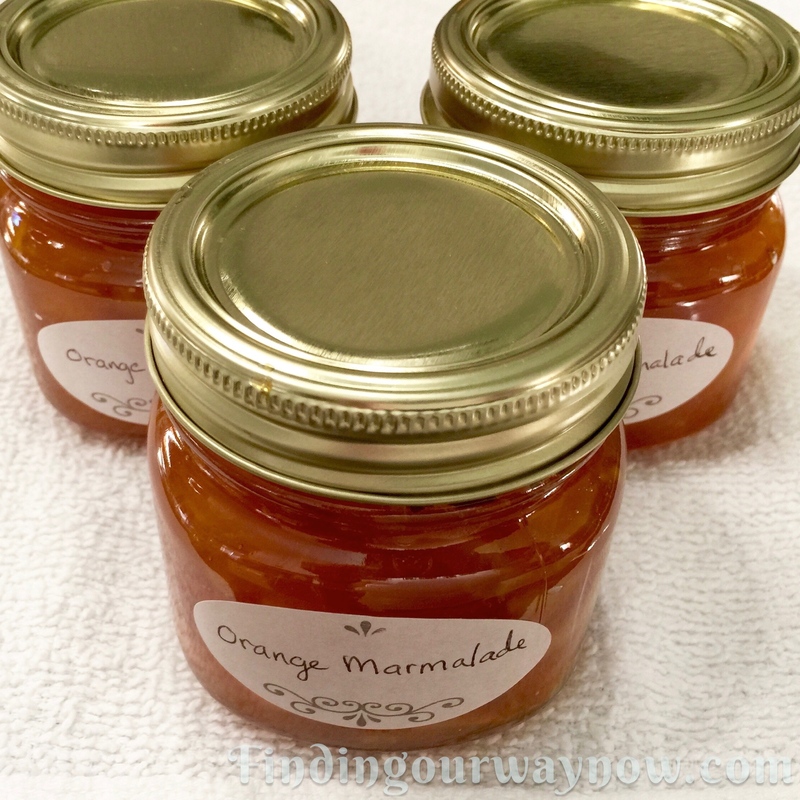 My Orange Marmalade was the result of a few requests from my readers. Besides, I do love making jams and marmalades. They’re simple to make, much less expensive, and they taste SO much better than store bought. Clean and sterilize your jars. Place two small plates and spoons in the freezer. 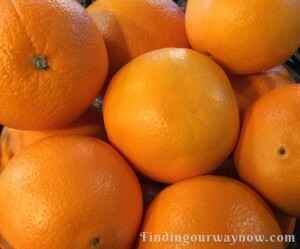 Thoroughly wash the oranges to remove any wax and residue. Reserving 4 oranges or so, cut the rest of the oranges in half lengthwise. Cut out the center membrane of each half leaving a notch. Over a bowl with a small strainer, remove the seeds by running your finger down the middle of the groove a few times. Strain the seeds reserving any juice. Place the seeds in a small muslin bag. Combine the sliced oranges, water, orange and lemon juice, the bag of orange seeds, and sugar in a large, nonreactive pan. Bring the mixture to a boil, reduce to a simmer and cook until the rinds are tender and the mixture just begins to thicken. Remove the seed bag, squeezing it a bit to release any juice and discard. Stirring occasionally, continue to simmer the mixture until it begins to coat the back of a spoon and runs off in a sheet instead of a thin stream. Be patient; this may take up to an hour or so. 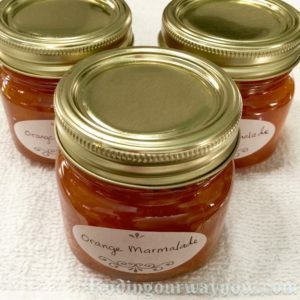 Using a canning funnel, ladle the hot orange marmalade into the clean sterilized jars leaving ¼″ headspace. Wipe the rims clean, attach the lids, label, date, and store the marmalade in the refrigerator for up to 3 weeks or freeze in freezer jars for up to a year. When frozen, thaw in refrigerator for 24 hours before use. Notes: Valencia or Saville orange are the best oranges to use when making homemade orange marmalade because they are thin skinned with less pith and quite juicy. You can use other oranges, but the thicker pith makes for a slightly bitter marmalade. If you like that, then have at it. Why use the seeds? 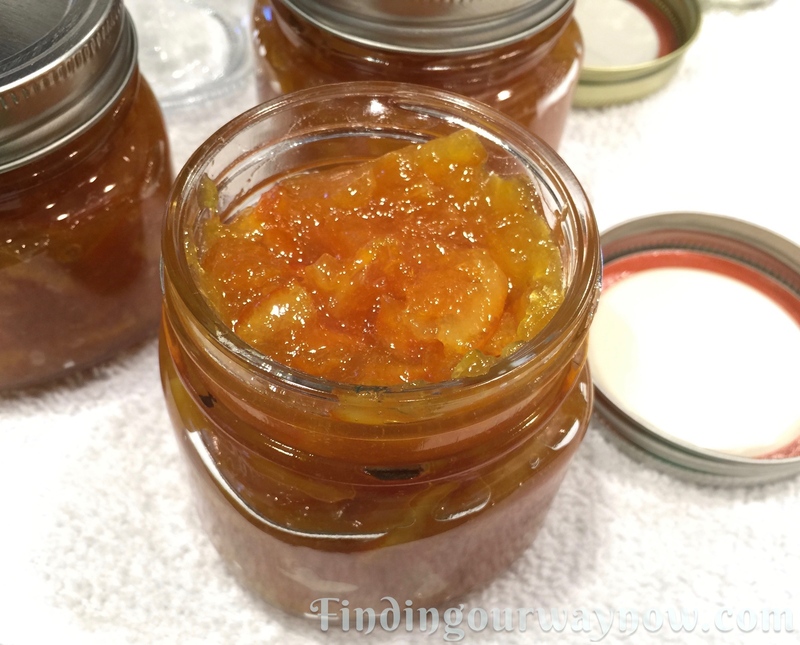 The seeds provide the natural pectin needed to set the marmalade. Obviously, you can double the recipe if desired. 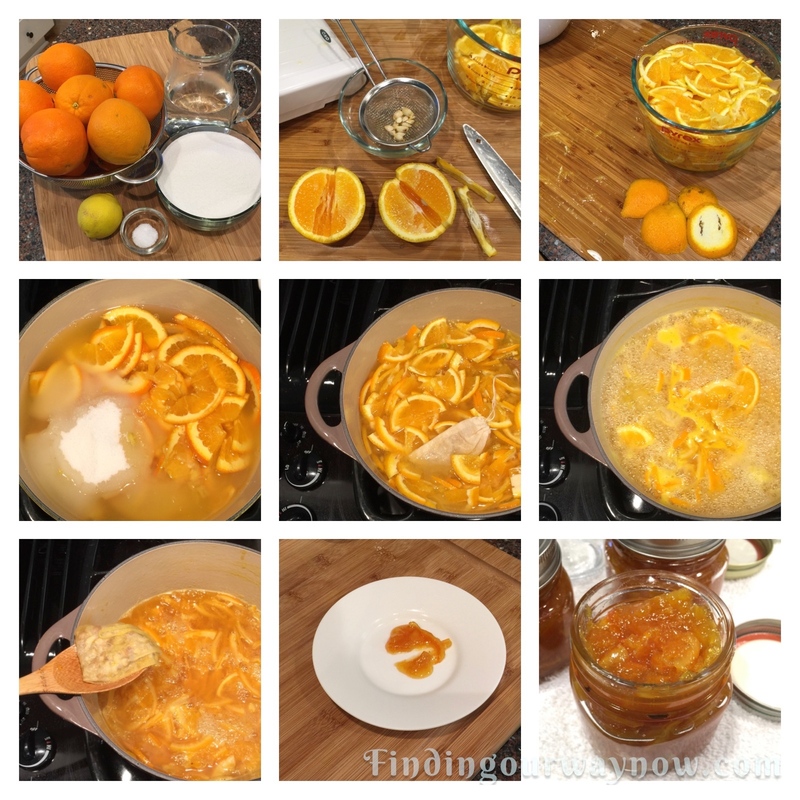 The same method can be used to make any citrus marmalade. You may need to increase or decrease the sugar if the citrus is sweeter or more tart. For something different, a combination of lemons and oranges can be fun too. I’m looking forward to spreading this wonderful sweet goodness on my soon to be shared homemade English scones. They will be a perfect match; don’t you think? After I’ve frozen my stash, not to be greedy, I’ll box up a few jars to give to my friend who happens to LOVE Orange Marmalade. 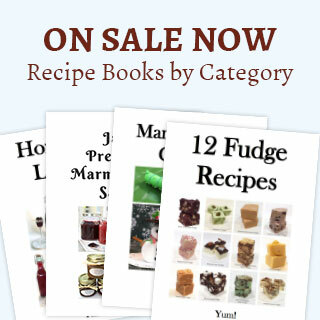 If you enjoyed my “Orange Marmalade,” check out my Meyer Lemon Marmalade, Freezer Plum Jam, Homemade Raspberry or Blackberry Jam, or my Fresh Fig Jam. Enjoy.